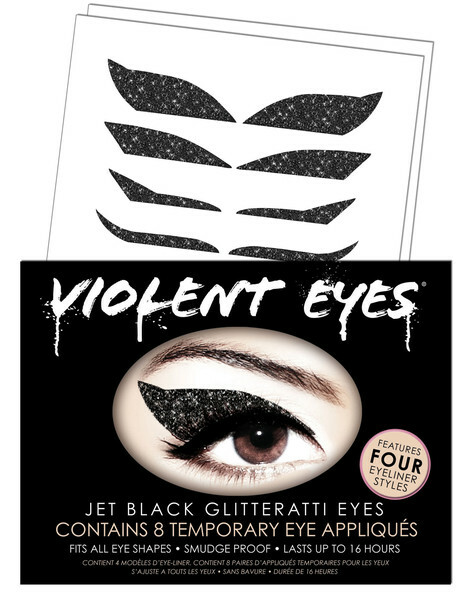 I recently got the chance to review the New Violent Eyes eyeliner tattoos . 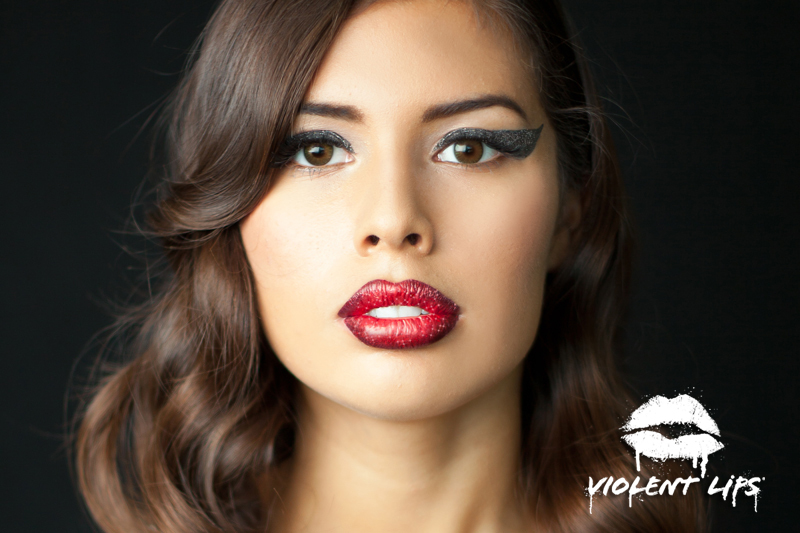 I also got the review the Violent Lips which you can read about the purple leopard here. I was very excited to try these out more so then the lips as I am still not the best at doing eyeliner other then around the eye and thought these would really look cool with my eyes. 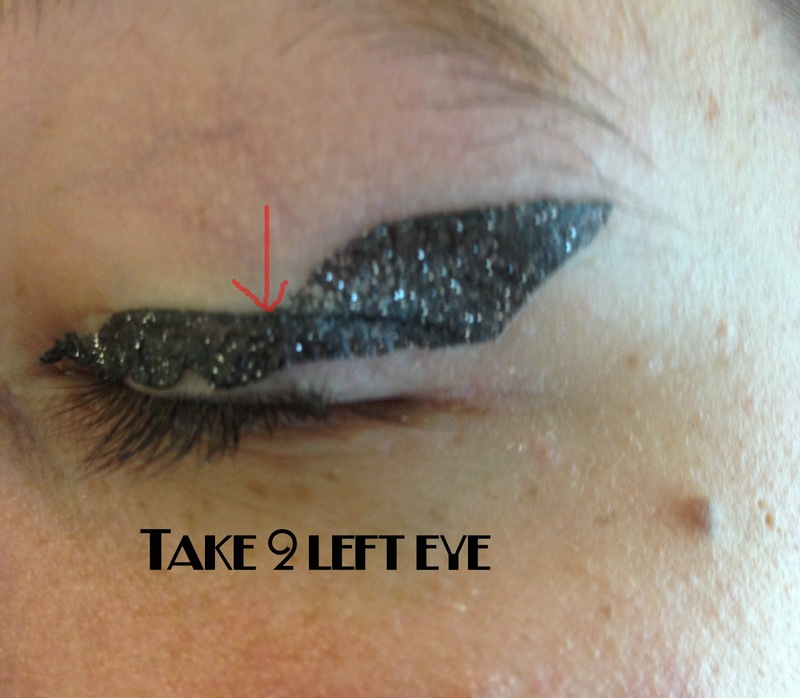 I have problems though with makeup basically melting off my eyes, even liquid eyeliner drys,cracks, and then falls off. I was hoping to have better luck with these then I have had with some eyeliners so that this could be my important occasions alternative. Sadly I must say these didn't work on me, no fault of the product its purely my skin that's the culprit here. I tried this multiple times before I figured out what the issue was. The first time I used the biggest in the pack and they didn't want to stick on my skin that well and so one ended up folding over and I tried to unfold it and smooth it back down with not so good results. When I went back to my desk after lunch they shifted down over my eye lashes and I had to remove them and it peeled off easily. I tried a second time with a smaller set with better results. I could have gotten by with some slight fill in and be good. Then I had the same issue as before and it shifted but over time I realized that my eye lids had begun to stick together. At first I just thought my skin was tight but when I looked in the mirror is when I saw what was going on. I did like the wide eye look it seemed to give me but it hurt with it pulling my skin. My co-worker believed it was something with how I applied it so I gave her one and she put it on her hand. Well after a bit she tried to remove it like I had with my eyes and she wasn't able to get it off. We tried what we had laying around our desks as I didn't have any makeup remover on hand. We tried GermX, Petroleum based lip gloss, lotion, cocoa butter. What finally got it off? Rubbing her hand on my jacket. So as revenge I let her put one on my hand to show once and for all it is my skin that is the issue. So after a bit she said to try to remove it and sure enough it came off easily without any fighting with it. Here is a slide show of the many pictures I took of the violent eyes. Others I know had no issues with it staying where it should so my findings are that this is an awesome product for those that can use it. If you are like me and have issues with water proof liquid eyeliner drying up and flaking off this will probably not work for you but if you don't have that issue this is perfect. The product is quality made and works with most skin types. Now I'm off to research what is up with my skin and why this and other products wont stick to my skin. oh wow it looks so cool!!!!! OMGosh! I think those are too cool!! Great demo by the way! I love that the products are tested on super models! That is so awesome! I wish I had something I could say that about. "No, this isn't tested on animals, its tested on MODELS!"